On December 15, Northern Lights of Christmas is the latest holiday movie to debut on Hallmark Movies & Mysteries at 9 PM. 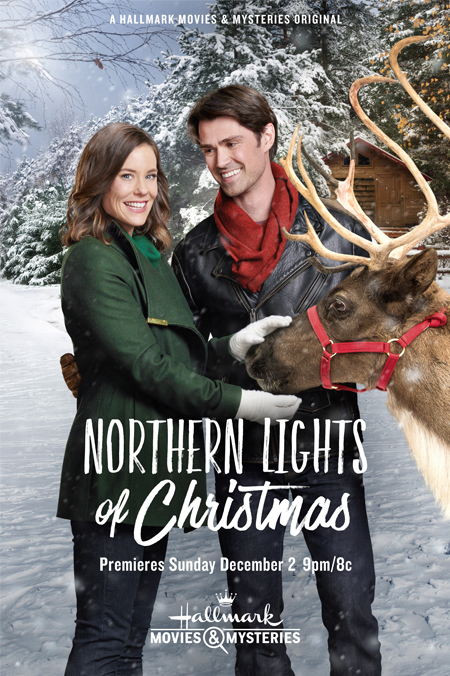 When pilot Zoey Hathaway (Ashley Williams) inherits her uncle’s ranch in Alaska, plans to sell the place and buy her own plane go out the window after she meets the handsome ranch hand, Alec Wynn (Corey Sevier), along with the place’s resident reindeer, Holly and Palmer. The film also stars Genelle Williams. Here is a trailer for Northern Lights of Christmas.